Description A cross between McIntosh and Ben Davis that inherited the good qualities of both parents. Fruit is a beautiful red, very large, with pure white flesh. Crops heavier than most varieties and considered an annual bearer. Picked seven to ten days after McIntosh. 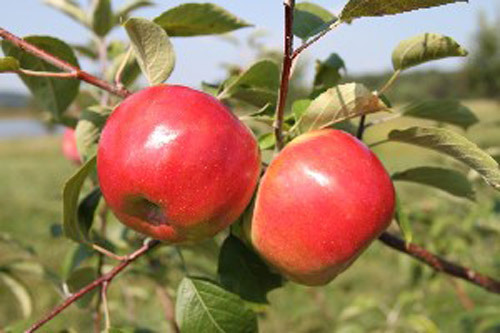 Pollination Information Cortland blooms in mid-season and will pollinate all other early blooming apple varieties, varieties blooming in the middle of the season, and also varieties blooming late in the season.